construXnunchuX: Who Cares About the NHL All-Star Game? Poop is Funny! Who Cares About the NHL All-Star Game? 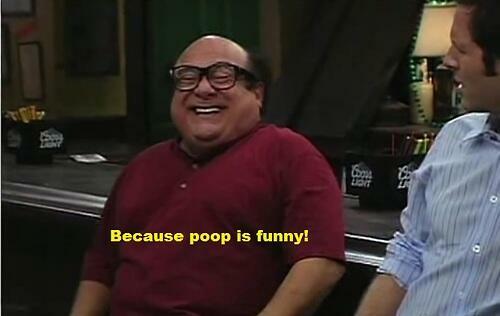 Poop is Funny! Voting has opened for the 61st NHL All-Star Game in Nashville!! It's like Christmas ... if it wasn't Christmas already. Can you feel the excitement?! Yeah ... I don't care either. The NHL is letting the fans vote on who receives this prestigious honor and who gets a nice couple of days to heal the damage of a long NHL season. In a predictable move by the internet hockey community there has been a grass-roots movement to vote in the journeyman enforcer John "Murdersaurus" Scott as a joke. There has been some flimsy justification for voting for Scott beyond it being a joke but I don't buy it. If you leave the cage door open the animals are surely going to come out and play. As stupid as the John Scott movement is, the counter argument is just as stupid. Why would it be stupid? Why? No reason (per usual). It's no mystery that fans of any sport what to be apart of the sport they love. Fans love hearing themselves speak and have an impactful influence via, cheering, chanting, or voting. There is no reason NOT to vote for a joke candidate. The NHL made it an option and its your right to do what you want. It's not a fan's job to adhere to tradition. It's not a fan's job to honor careers. It's not a fan's job to do anything outside of what their primal impulses tell them to do. If anything, I like the fact that hockey fans are getting behind a singular idea, joke or not. On the other hand, if the NHL wants to be taken that seriously it would have thought about this. It happened in Montreal, it happened in Columbus. The fact that turd Nick Foligno was last year's All Star captain is just as absurd as John Scott. The hockey community perpetually complains about things they have no control over and the All- Star game is no different. Aside from being personally voted into the All-Star game this year, I will have no idea what happens in that game because since the player's don't care (and shouldn't) Why should I? I voted for John Scott (and Scuderi) "because poop is funny".